Running a major fleet demands tight cost control and JCDecaux keeps refuelling costs down with the help of Fuel Card Services. 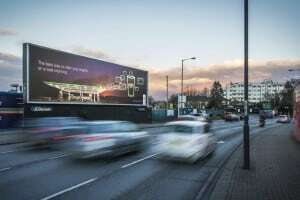 The world’s leading outdoor advertising company has media sites throughout the UK, serviced by a fleet operating from nine locations nationwide. Its 320+ vehicles are all refuelled using fuel cards from Fuel Card Services. The JCDecaux fleet of HGVs, vans, cars and cherry-picker vehicles is now refuelled using Shell, Texaco and Diesel Direct fuel cards. It also uses fuel cards personalised to individuals, allowing fast and easy discount refuelling of any hired, leased or ‘grey’ vehicle. Fixed weekly pricing means that it saves up to 4p per litre on average pump prices, with no transaction charges or hidden extra costs. A single weekly invoice covers all transactions, for all fuel cards, for the entire fleet.